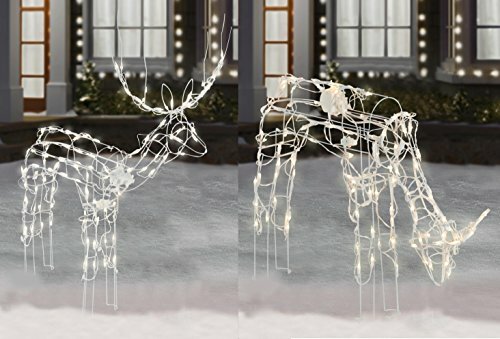 Adorn your yard with a beautiful lighted deer family. Watch as the animated Buck gazes back and forth at friends and neighbors. Watch as the animated Doe as the Feeds in the Snow. This deer family will add an enchanting touch to your holiday display. If you have any questions about this product by CTS, contact us by completing and submitting the form below. If you are looking for a specif part number, please include it with your message.